Delighted to say that we have received an incredibly kind donation of £1000 from MotoNovo Finance! This money will be invaluable in helping us with the transport costs that UCAN Productions needs to make sure we can include as many people as possible. 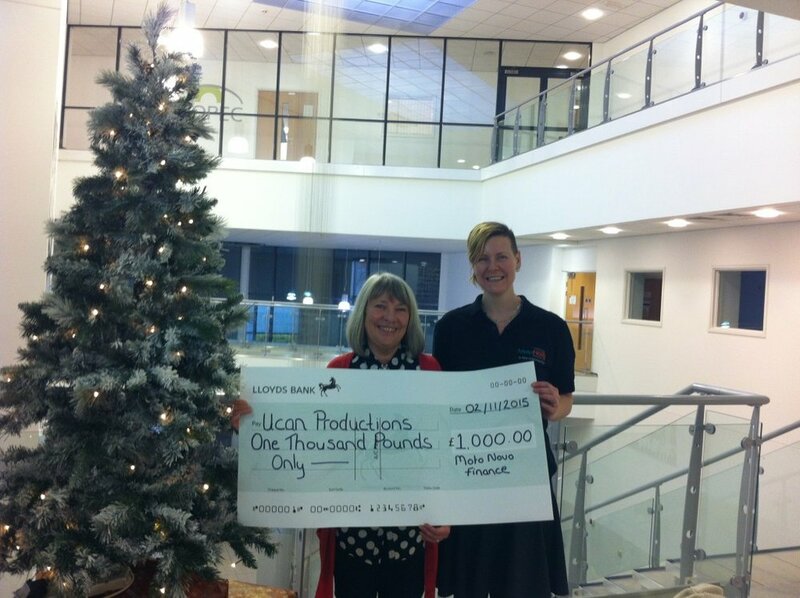 We would like to say a huge thank you to everyone who contributed, and a special thanks to Assistant Office Manager Lorna for delivering this very big cheque!